Press cannot “convict anyone” or insinuate that he/she is guilty or make any other unsubstantiated claims. Press has to exercise care and caution while reporting about matters under investigation or pending trial. 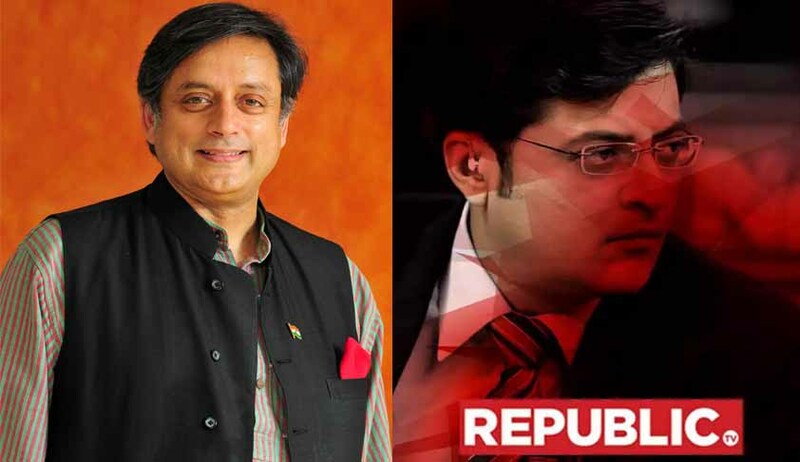 The Delhi High Court Today refused to restrain Arnab Goswami and Republic TV from airing the news items or debates relating to the death of Congress MP Shashi Tharoor’s wife. But Justice Manmohan directed Arnab and Republic TV to seek Tharoor’s version before airing the story. Justice Manmohan was disposing some interim applications in the suit filed by Dr.Shashi Tharoor seeking compensation and damages from and against Arnab and Republic TV for making defamatory remarks against him as well as for permanent and prohibitory injunction restraining them from reporting any news or broadcasting any show related to the death of Mrs. Sunanda Pushkar till the investigation is complete and also to restrain them from maligning and defaming Tharoor in any manner. “Court is of the opinion that in the present case the defendants have the right to air their stories and the same cannot be curbed, but it has to be tempered and balanced”. The Court also observed that it is important that when criminal investigation has commenced, media reporting should be sensitive to the indeterminacy of the questions raised in the proceedings. “Press cannot “convict anyone” or insinuate that he/she is guilty or make any other unsubstantiated claims. Press has to exercise care and caution while reporting about matters under investigation or pending trial”. “This Court refrains from saying anything more as Mr. Sandeep Sethi, learned senior counsel for defendants had assured this Court on 29th May, 2017 that the defendants in future would exercise restraint as well as bring down the „rhetoric‟ and even according to Mr. Salman Khurshid, learned senior counsel for plaintiff, subsequent to the said statement the „previous vitriolic attack‟ was missing. The statement made by Mr. Sandeep Sethi is accepted by this Court and defendants are held bound by the same”. The Court also made it clear that all observations in the Judgment are prima facie in nature and are in the context of the disputes between the parties hereto and none of the observations shall be used in any criminal proceeding, if any, filed by the State.